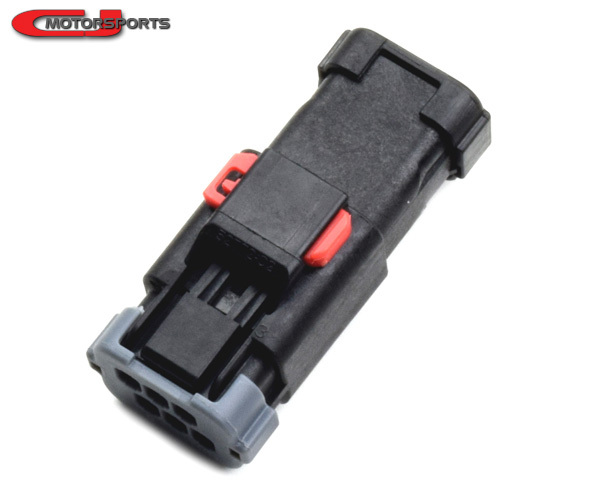 Add an OEM quality disconnect to your wiring project with our Harness Disconnect Kit! This connector kit has 6 positions that support 10/12AWG wiring (40 amp rating). This can be used for fuel system projects, interior/gauges wiring, engine harnesses, or any number of uses. 8 terminals are supplied for both the male and female connector (2 spares per). There is a sliding secondary lock (orange) on the connector. These can be used inside the fuel tank, but you *must* remove the dust seals (rubber) from each connector. NOTE: This item is not intended to be purchased as replacement components for CJM Fuel Pumps. Please find the replacement components in our catalog.